Two sisters discover a strange object of alien origin. Abby and Rebecca Powell haven't seen each other since a traumatic event in their youth ripped them apart. Reunited for the first time in over a decade, the sisters take a trip to spread their mother's ashes at a secluded lake. As the sisters reconnect and try to heal old wounds, something waits in the nearby woods. A strange object, not made by the hands of man, beckons them to it. 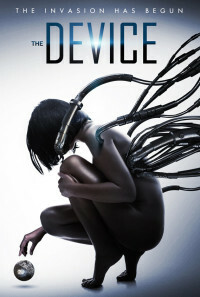 As they begin to try and unlock its secrets, Abby is plagued by nightmares of an alien presence that seems all too real. Little do the sisters realize that this object is actually a device, one with a purpose too horrible to comprehend. As the events of the past and the present begin to merge, new discoveries will threaten to tear apart their newly reformed family, and the inhuman creators of the device will attempt to finish a terrible experiment begun years before. Regions are unavailable for this movie. Click the "Watch on Netflix" button to find out if The Device is playing in your country.